0.5 million of publications in the PIONIER Network Digital Libraries Federation! On the 15th of December the total number of publications in digital libraries cooperating with the PIONIER Network Digital Libraries Federation (PIONIER DLF) reached 0.5 million. Anniversary publication is 9254 issue of „Dziennik Polski” (Polish Journal) from 27th of November 1973, published on the internet by Małopolska Digital Library at http://mbc.malopolska.pl/dlibra/docmetadata?id=56371. This issue comes from archives of publisher named Wydawnictwa Jagiellonia SA, and was digitized by Voivodeship Public Library in Kraków. At the moment on the PIONIER DLF website (http://fbc.pionier.net.pl/) you can search in collections of 58 digital libraries. It is estimated that the number of growth of the number of publications is 15 000 each month. All publications are available without any fee. The list of cooperating digital libraries can be found at http://fbc.pionier.net.pl/owoc/list-libs. The PIONIER network Digital Libraries Federation was first made publicly available in 22nd June, 2007. Then 16 digital libraries were connected to the PIONIER DLF. Today, the list is longer by 41 items(!) and there is 57 digital libraries. It is an increase of more than 3 times! Chart 1. 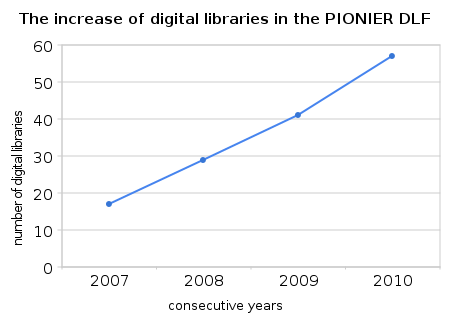 The increase of digital libraries in the PIONIER DLF. The graph nr 1 shows the rate of growth since the beginning of the PIONIER DLF. As you can see it is stable and continuously maintains approximately the same level. 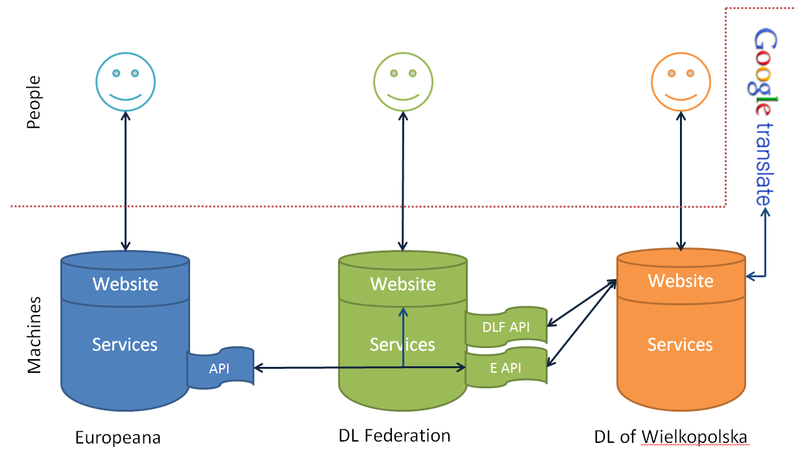 If the trend is maintained, the number of 100 digital libraries connected to the PIONIER DLF will be achieved in ca. three years. Chart 2. 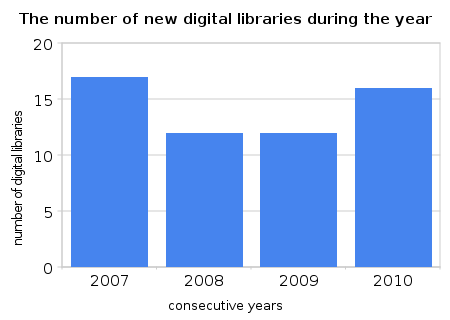 The number of new digital libraries during a year. The results for the rate of growth are in line with the number of new digital libraries during a year – remained more or less the same since the beginning of the PIONIER DLF (see chart nr 2) and the average number is 14 digital libraries per year. But year 2010 has not yet ended, so we hope that it will be at record high. To this day, the 16 new digital libraries has joined the PIONIER DLF in 2010. Only one missing to the record. And 4 months remain till the end of this year…. 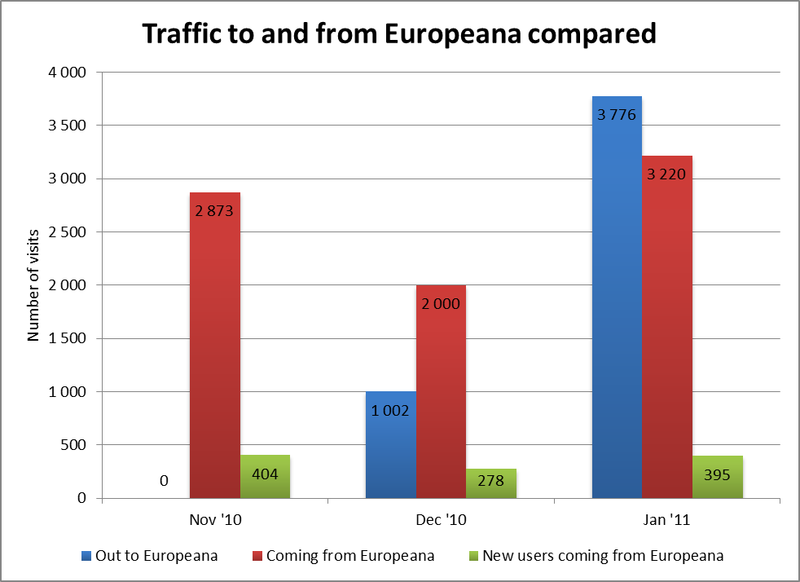 Recently Europeana has crossed the level of 10 million objects. Because of this we have decided to calculate again some simple statistics regarding the participation of Polish resources in Europeana. For today the share of resources published in Europeana by Polish institutions is about 3,4% which gives Poland 9th place in Europe. As you may remember, in similar statistics prepared by us on the 29 of March this year Poland was on the 6th place, with a share about 4,5%. Also the position of Digital Libraries Federation have changed. Since the last statistics was calculated, the number of objects from Polish institutions provided to Europeana via the Federation increased by over 34 thousands (more than 10% increase). It was to small, to hold the 8th position in the content providers ranking. Presently the DLF occupies position number 10. More detailed statistics are available here. Although such statistics and its comparisons should not be read directly – e.g. nowadays Poland digitizes and publishes on-line its cultural heritage slower than other European countries. 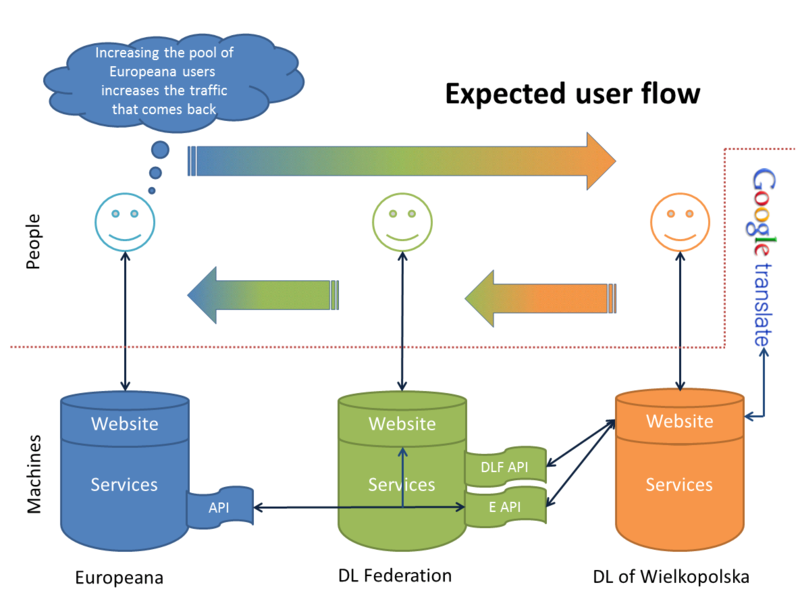 We assume that the high level of technological advancement and coherence of digital libraries in Poland allowed us to contribute to Europeana in its early stage of activity. 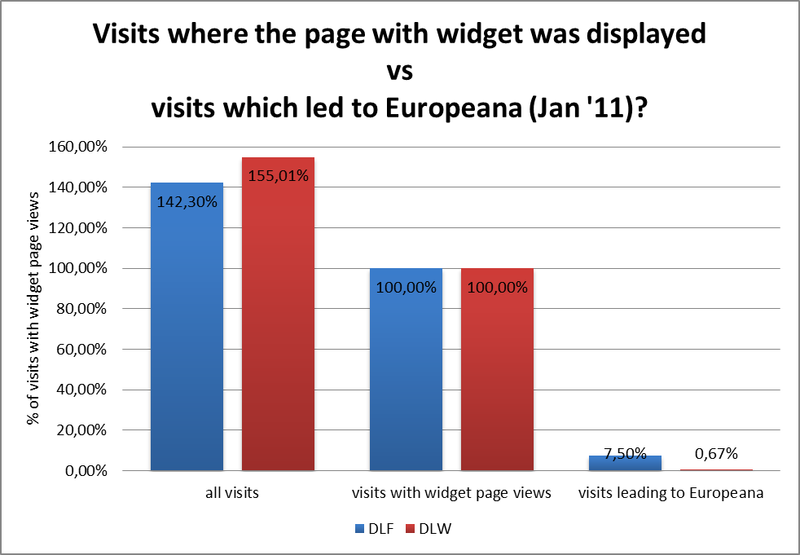 This is why Poland and DLF were quite high in the March statistics. 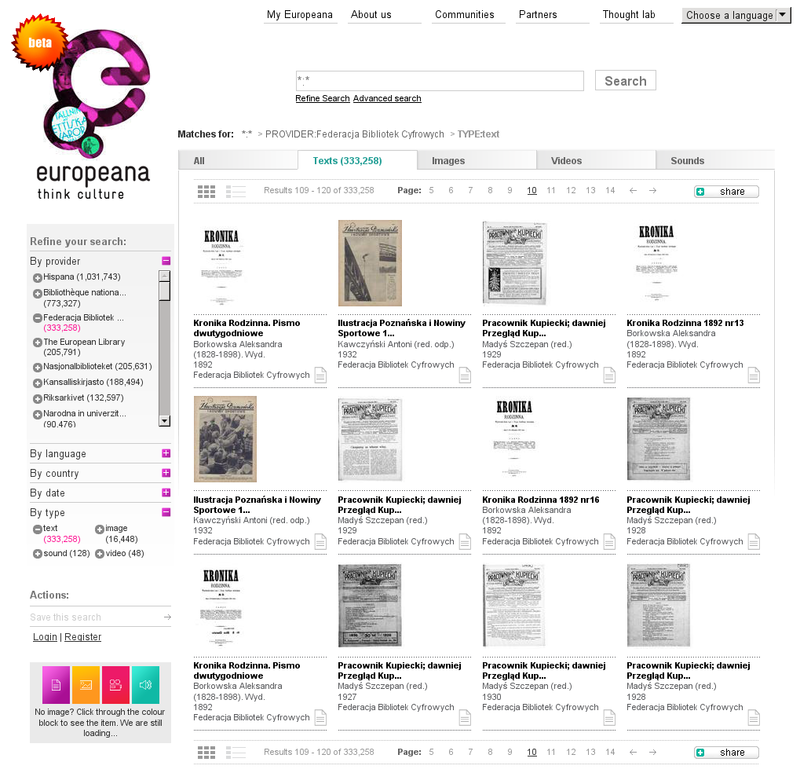 Presently Europeana receives content from other institutions, from countries where the process of cultural heritage digitisation started earlier and was/is more intense. Such institutions are now technically ready to cooperate with Europeana and they were able to transmit large amount of data right from the beginning. That is why our position decreased. In the last few weeks Europeana has updated data transferred via the PIONIER Network Digital Libraries Federation. Even though some problems occurred, the operation ended with success. In this update the Federation has for the first time passed thumbnails for the most of objects from the Federation – almost 300 000 thumbnails. Furthermore the objects number from the Federation increased almost up to 350 000. Thanks to the dLibra Framework functionality some of thumbnails were generated automatically. Figure 1. Thumbnails for objects transferred via the Federation. 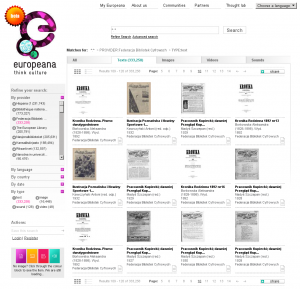 We encourage new digital repositories to join the Federation and thus the Europeana! More on this topic here.